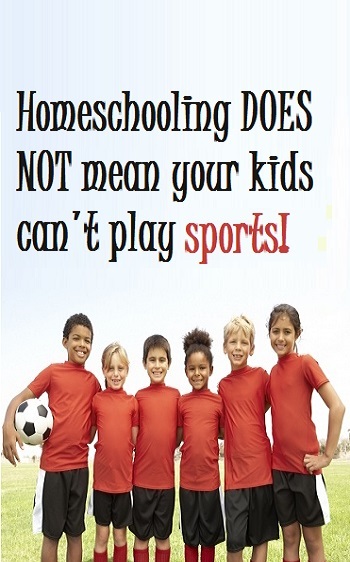 Wondering about homeschooling and sports? One concern many people have about homeschooling their children is that they believe homeschooling doesn’t allow their kids to have access to organized sports. Organized activities can be great for kids. Participating on organized sports teams is a good way for your children to interact with other children their own age (outside of their family), and learn valuable social lessons. 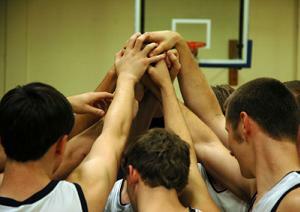 By playing a sport under a coach, for example, your children learn about listening to authority outside of the family. By competing on a team that will lose sometimes, your kids can learn how to deal with defeat, and how to work harder next time to improve their skills. And, of course, children who participate on teams learn how to work on a team for success. Being active in sports is also a good idea to keep kids active and healthy. Children in public and private schools participate in team sports in physical education classes during the school year. Unfortunately, that’s something that can be lost when a child is homeschooled. Organized sports is a good solution to that problem. Fortunately, there are lots of opportunities for homeschooled children to be active in sports. Home schooling parents can use these opportunities to create a sports or physical education program to incorporate into their curriculum. 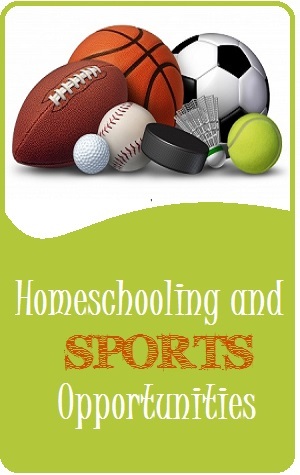 • Homeschool sports groups. Finding and connecting with other families in your area that home school can be an amazing resource for your family. Your child can find friends that are also homeschooled, you can get support from other home schooling parents, and if the group is large enough, you can even work with the other parents to incorporate a homeschool sports program for the children. • Your local parks and recreation department.Many parks and recreation centers organize leagues for neighborhood children. These sports leagues give you an inexpensive option for your children, but are still competitive. • YMCA. This is similar to turning to your local recreation center. Because of their funding, may be able to offer a wider variety of options than other sources. The YMCA also offers sports camps for children. • Public school sports. In some states, homeschooling children are eligible to participate in school activities in their school district. If this is something you’re interested in, be sure to check with your local school district for the details. And it’s important to remember that, during practices and games, your child will have to abide by all rules and restrictions of the school. • Start your own program. This is something you can do with your local homeschool group, of course, but if your home school group is small, you may also want to open it up to neighborhood children. If you decide to sponsor your own league, it’s important to keep in mind that you’ll be taking the brunt of the cost involved, and you will probably have to focus on only one sport. Your home schooled child doesn’t have to just watch from the sidelines. Thanks to the growing popularity of home schooling, more and more programs are in place for children who want to play organized homeschool sports outside of public and private school settings. Just like the kids in traditional schools whose parents are proud to sit in the bleachers and cheer, you, too, can cheer on your child and see him or her reach athletic success! Visit our “Why Homeschool?” resources to learn more!